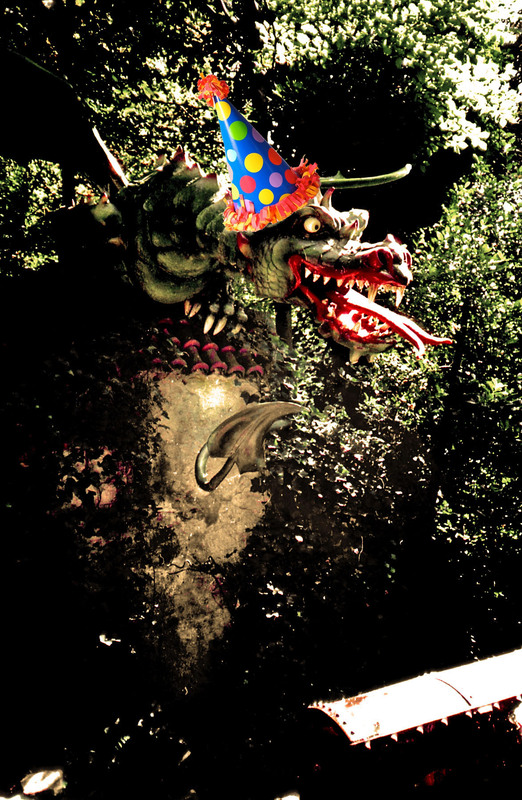 Efteling UK is 2 Today! It doesn’t seem like 5 minutes since we were sitting in Het Witte Paard in Efteling, thinking that it would be cool to create an English Efteling fan page. Two years later, here we are! Aside from these numerical statistics, and most importantly, we have made a great number of friends who share our love of all things Efteling. A big thank you to the people who continue to contribute to, and follow the site. Remember to share us with your friends! Follow Us On Our New Twitter! We only have 4 followers so far, so if you were following us on the old account, remember to follow this one instead! We Celebrate Our 100th ‘Like’ on Facebook! A HUGE thank you to our 100th fan on Facebook! To celebrate, we have to share this video of a flashmob of Efteling employees; complete with snow for Winter Efteling! Remember, Winter Efteling runs from November 8th to February 3rd, so pay a visit if you can! We Now Have 90 ‘Likes’ on Facebook! + Our Video of Aquanura! We are a whole year old! We have posted 130 times, 118 Twitter followers and have 83 Facebook friends! Thank you to all those people, and keep following us for more posts in the future! We Have Over 80 Facebook ‘Likes’, and It’s Almost Our Birthday! It is true, 82 people ‘like’ us on Facebook, we’re very happy! Maybe we can make it all the way up to 100 in the near future? Remember to share Efteling UK with your friends who maybe haven’t heard of Efteling, or maybe you have a friend who loves fairy tales? Efteling is for them! We will be updating more and more as time goes on, especially with an Efteling trip coming up for us next month! You can subscribe by using the box down the left of this page, or like us on Facebook to see when a new update is posted. You can also find us on Twitter, just search ‘Efteling UK‘, our tag, however, is @Vegitabeta. It is also our first birthday on Tuesday, feel free to send cake! We Have Readers From All Over the Globe! Understandably, the majority of our visitors come from the Netherlands, closely followed by the UK, and the U.S.A. Belgium, Germany and France also view the site a lot, as does Canada and Australia. Then we have what we would call the more ‘obscure’ countries visiting. It is always fun to see places such as Korea, Argentina, Macao, Serbia and the Czech Republic popping up in the statistics. And then, the folks that we single out; because 1 person from each of these places has visited us in the last few months…they are clearly taking one for the team: Hong Kong, Uganda, Georgia, Bosnia and Herzegovina, Morocco and Qatar. There are a LOT more countries visiting us than that, but we decided to share a few with you, to give an idea of how many people love Efteling! Efteling UK is Almost a Year Old! 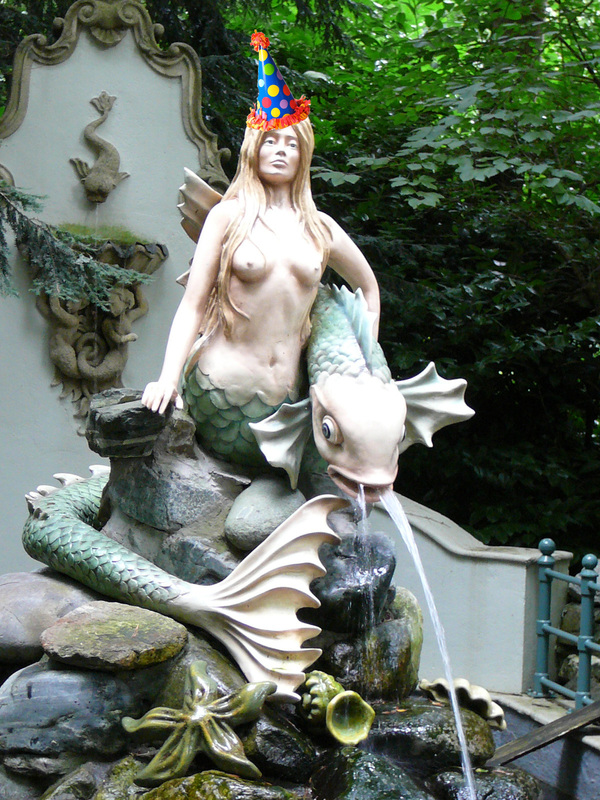 Yep, in one month exactly, Efteling UK will be 1! If anyone has anything that they would like to share with the site, be it pictures, park tickets, leaflets etc, get scanning and send them to us! Maybe you would like to share a trip report or just your general feelings about Efteling…please feel free to drop us a little message. info@eftelinguk.com is the place to send all of these things! Remember, we are also on Facebook, just search Efteling UK. We have 60 fans on Facebook! Oh yes, the 60th person liked us today, so thank you to them, they know who they are! To put that in perspective, Efteling recently celebrated 100,000 fans on their Facebook page. Although, Efteling UK is not even 1 year old yet, so Efteling have 59 years on us! We are small but awesome. Keep checking back for more updates; Aquanura opens at the end of the month!